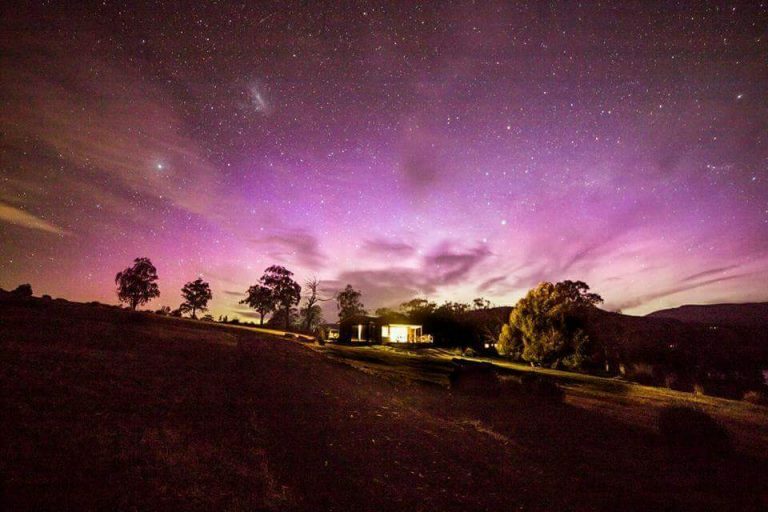 6 Farmstays in Derwent Valley Tasmania. There is nothing quite like a down to earth country farm stay to take you away from your everyday and into another world. 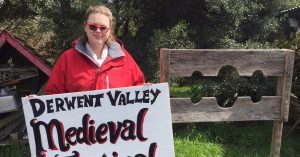 It’s off with the sandals and on with the gumboots. 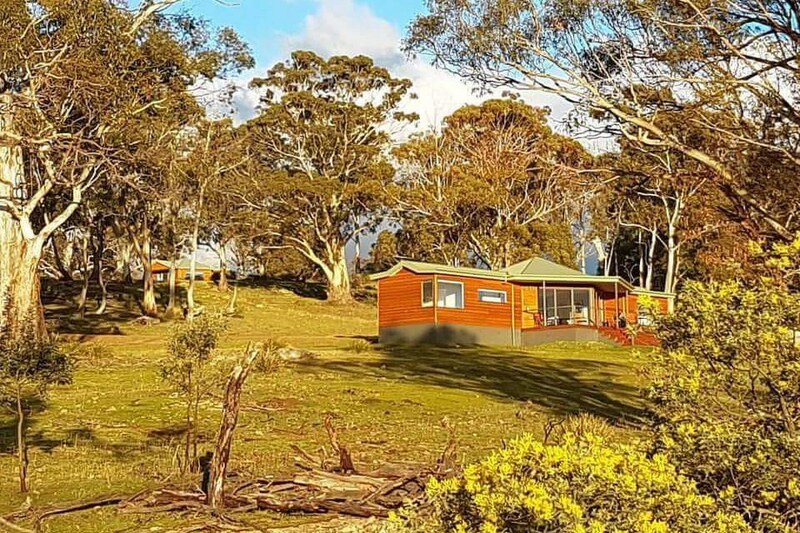 You will love having room to move, the paddock and mountain vistas and the big star festooned skies. It’s just what you need to make special memories with your one special person or the whole family. 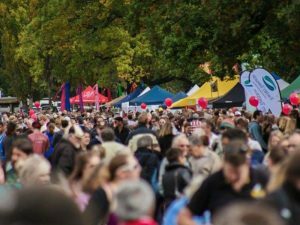 On your drive along the Derwent Valley to your farm stay, stop at the road side stalls and small towns for honey, fruit and fresh produce. 28 Gates is a modern country homestead waiting for your whole family to move right in. 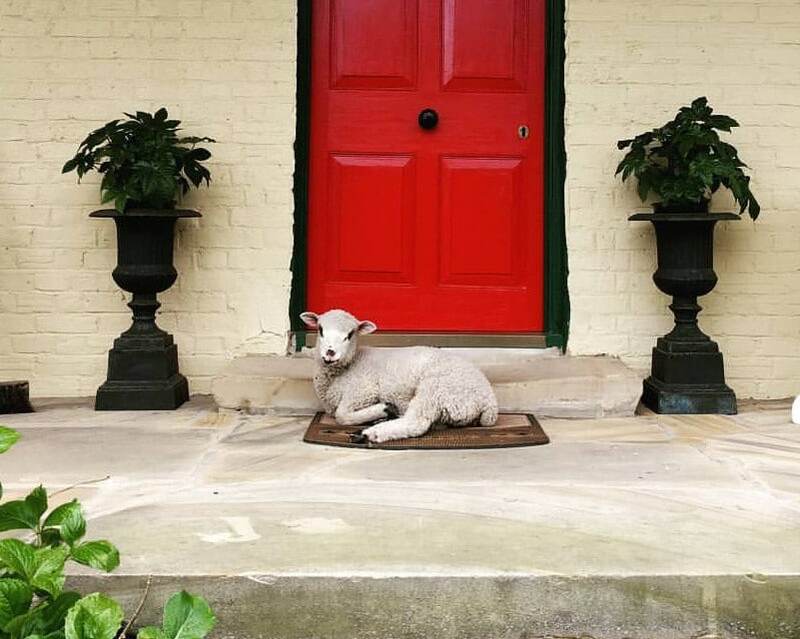 The building was once the farm’s stables and grain loft, then later shearer’s quarters, and now offers visitors, a luxury farm stay experience beyond the tallest stories of any of its former occupants. Its modern interior is stylish with everything so light and fresh, including the welcome baked goods prepared by Susie your host. 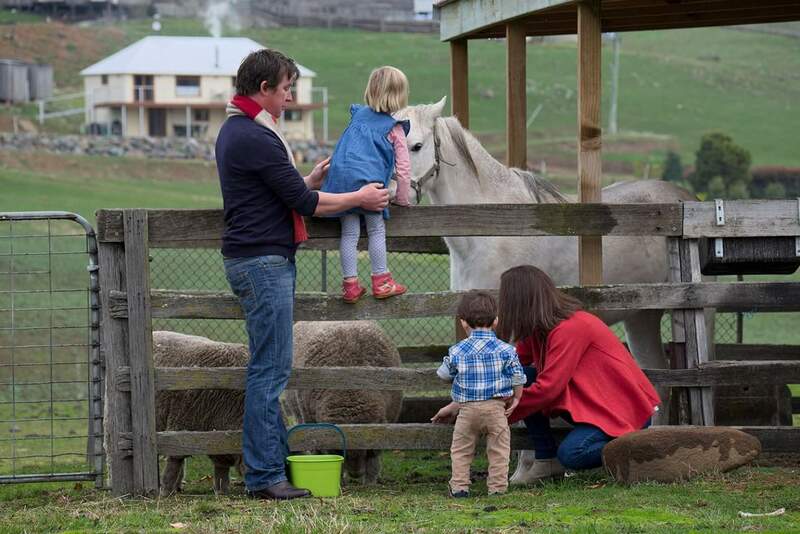 The little ones and the big ones in your group will all love making friends with the many friendly animals a few thousand sheep. With 5000 acres you won’t be short of places to explore on the property. What a great place to learn the art of fly fishing with gear and lessons on offer. 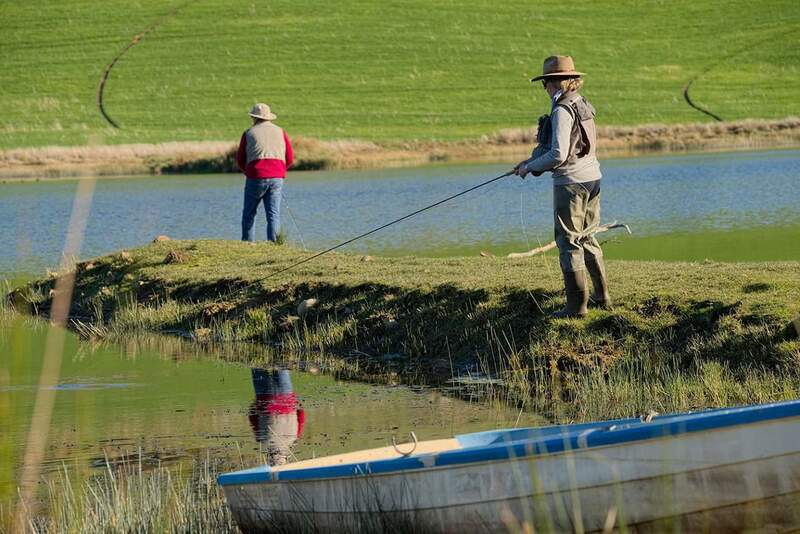 There are 4 private lakes stocked with all variety of trout. How hard can it be? Cook your own catch or arrange for a visiting chef to prepare something extraordinary for you. 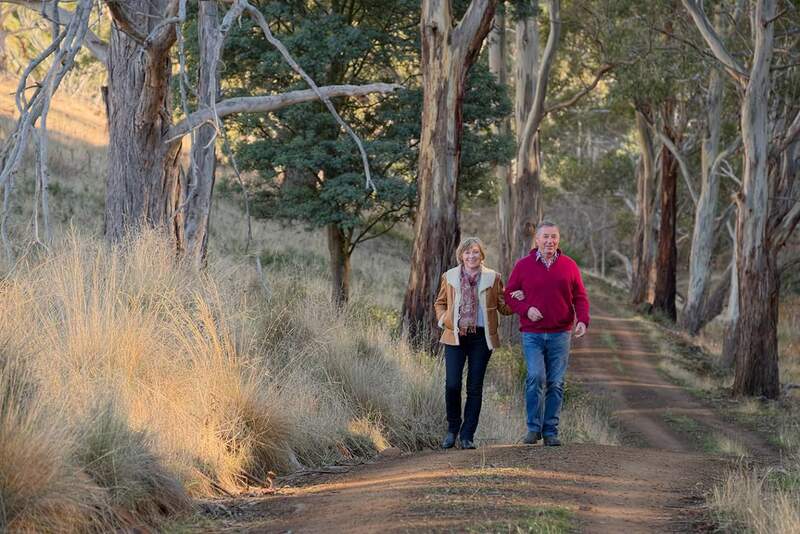 Explore some of the huge property on the many walking trails to discover your favourite place on the property. It’s a working sheep farm but also a haven for wildlife. 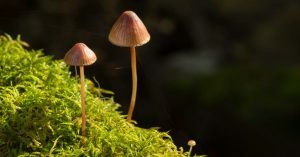 Imagine what you will see! There are 9 gorgeous well-appointed cabins and cottages for you to choose from. Some suited to couples with spa suites and some to larger groups but all have absolute privacy and all the conveniences and finishes you would expect in a city apartment. It is hard to make yourself leave this luxury for the great outdoors, but you will be happy you did. The 750 acre working property calls. Get out and explore this amazing place. 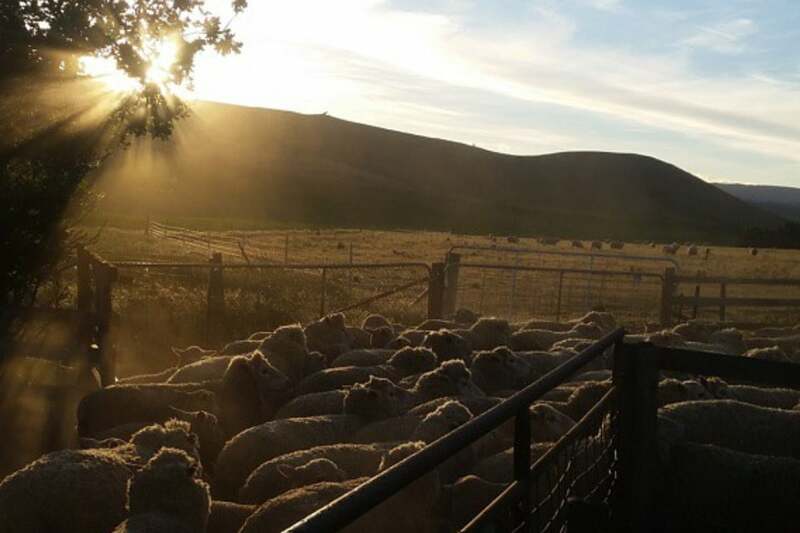 You can join their farm tours to see sheep shearing and working farm dogs or step out on your own to explore the many forest walks and river views. The mountain views, snow-capped for several months of the year, are a sight to behold. Of course that means you are going to really enjoy either the Rose or Lavender cabins or the Maydena Lodge. The property is on a hill overlooking the tiny rural village of Maydena and enjoys 4 star rated accommodation comfort, quiet serenity and outstanding vista. This quaint property is very handy to the entry to Mt Field with its waterfalls, beautiful alpine regions and forest walks. 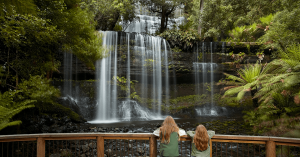 Venture down the road the other way and you are on track to the world heritage South-West National Park, the magnificent Giant Trees of the Styx Valley, the Florentine, Lake Pedder and the Gordon Dam. 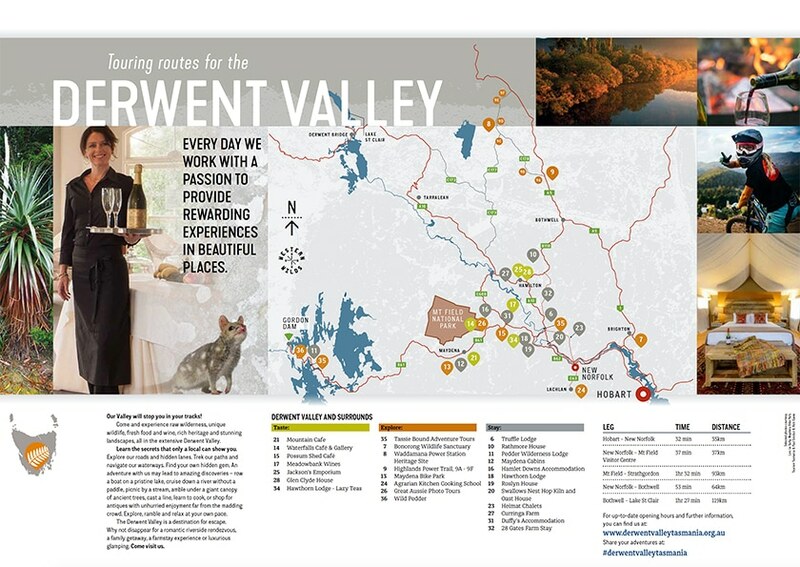 The renowned Junee caving system is very close. The Maydena Bike Park is minutes from the property and offers world class ‘gravity’ mountain bike trails. 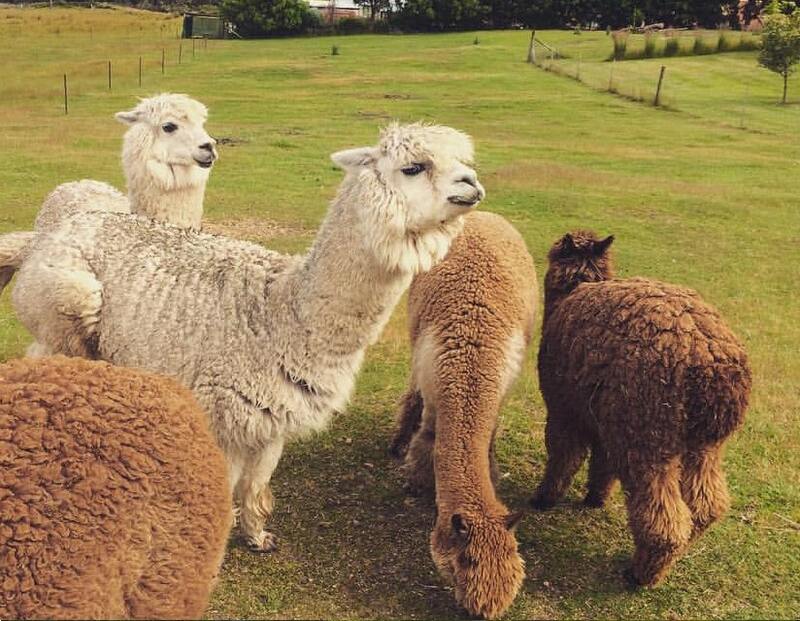 Cuddles are on offer from the friendly, quiet alpacas which will star in many of your selfies and maybe a photo bomb or two. If you wish to oblige, they love to be hand fed, especially Cocoa. This stately Georgian sandstone pile is gorgeous. The high hawthorn hedges at the entrance make for a surprise find as you nose up the drive. Choose to stay in either the story book original self-contained cottages or in one of the rooms in the main residence. 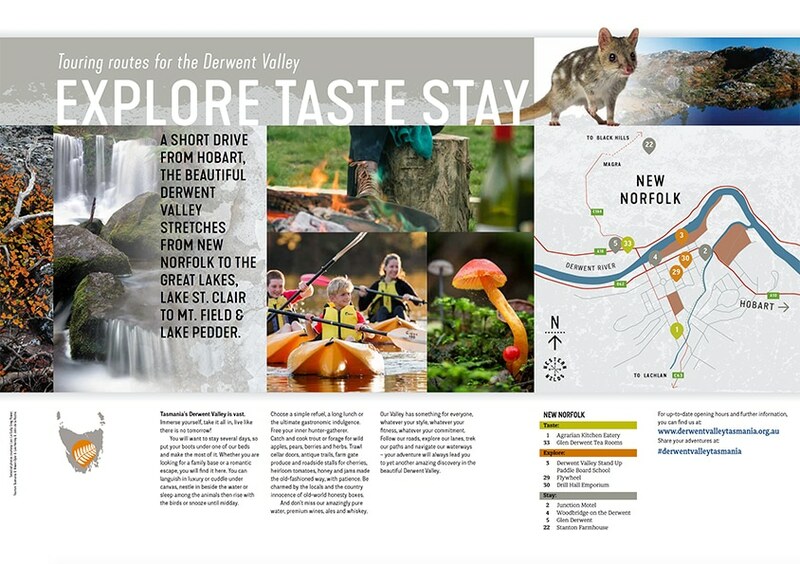 Glen Derwent is a stone’s throw, and easy walk from the busy little town of New Norfolk and the banks of the Derwent River. 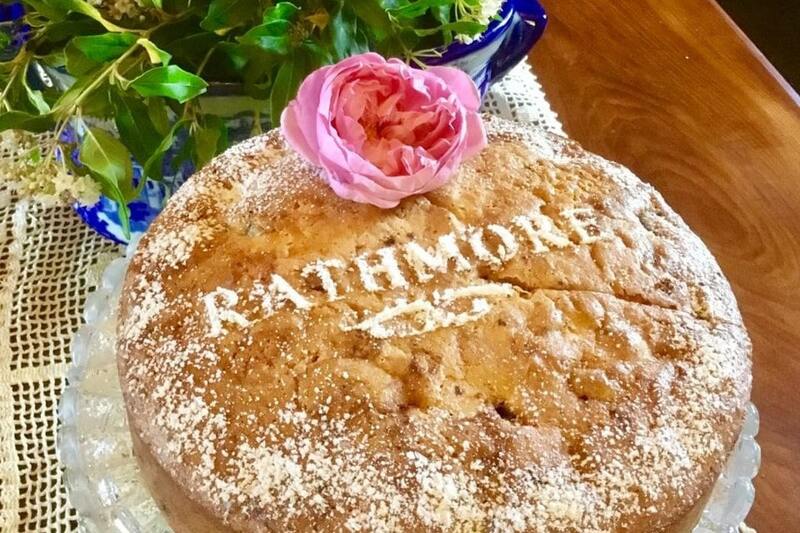 Built in the early 1800’s it is a treat to experience as a guest or as a visitor to the tea room which serves Devonshire teas and very flash high teas on special days. What an ideal place for events such as weddings and large gatherings. 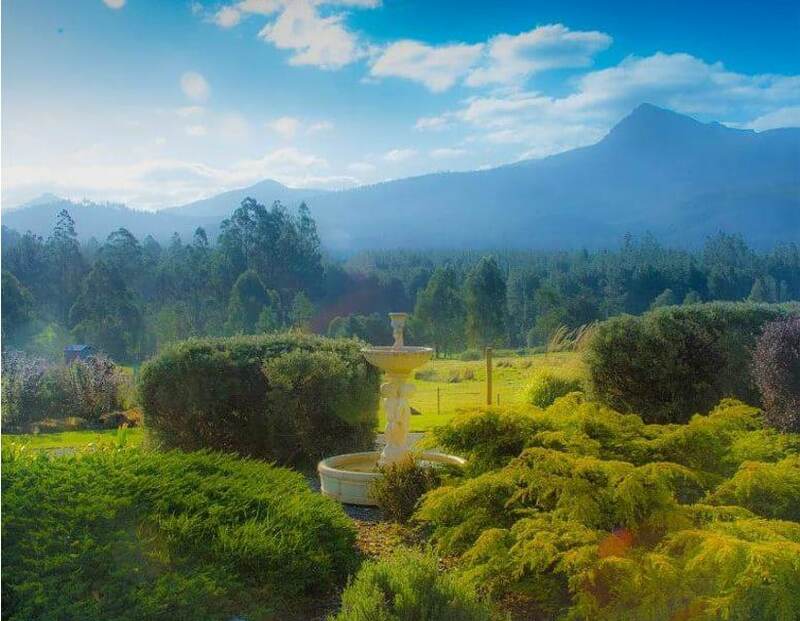 It will be a special stay if you are there for one of the many special events on Glen Derwent’s calendar, such as Cracker Night , Mid-Winter Solstice or Spring Equinox Picnic. You will love to hear the exciting history of the property from your hosts and also exploring the historic cobblestone stables, oast house, barn, gardens and orchard with their ducks and chooks for amusing company. There will be eggs to gather if they haven’t hidden them again. 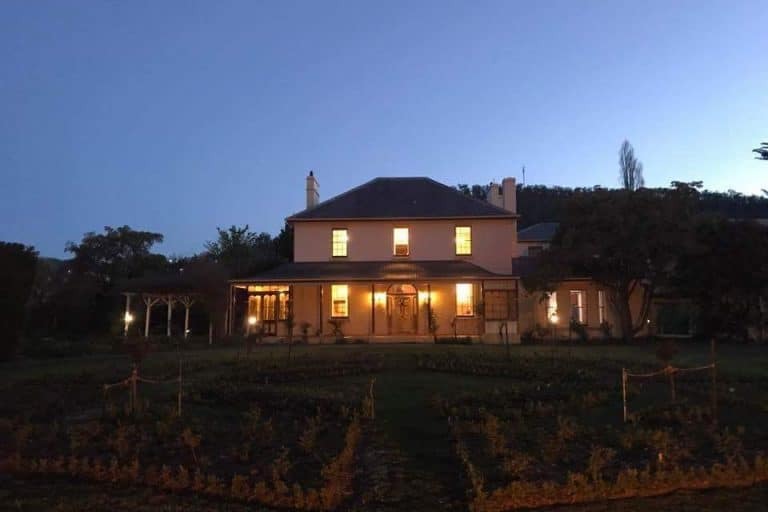 Just five minutes’ drive from New Norfolk you will find this convict brick country house. As you park near the veggie patch, your arrival will probably be heralded by the family of geese on the front pond who make it their duty to do so. The house is furnished in a relaxed and rustic country style, sitting comfortably against the hand sawn floor boards and sandstone staircase. 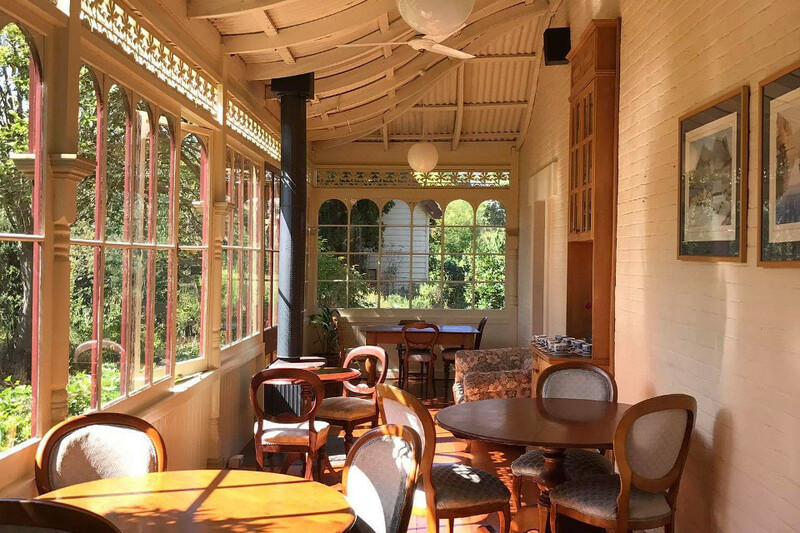 The prime spot on a sunny afternoon is on the upper veranda with cold drink or two and in cooler times by the open fire inside with a book. It’s a slice of the Tassie good life, with the best Tassie produce served to you fresh and seasonal and all prepared by Lisa your host. If b&b isn’t your style they also have The Farm Shack for a budget camping type stay. 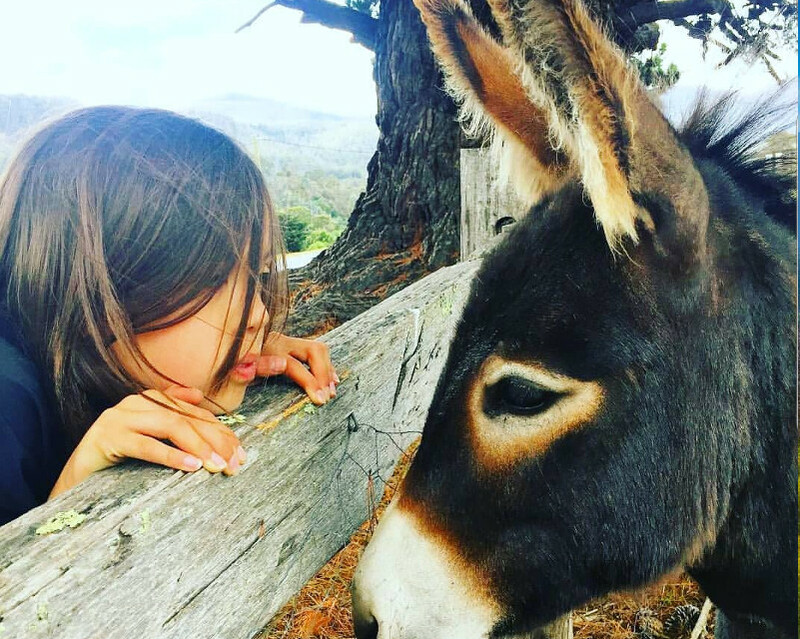 When you’re not out exploring Hobart, wineries, or the wilderness, wander the orchard, paddocks and ponds, meeting the animals including Coco the donkey (bring a carrot). 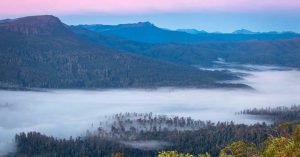 Surrounded by the Black Hills, once a hide out for bush rangers, you can also hike the private road up Shepard’s Hill. 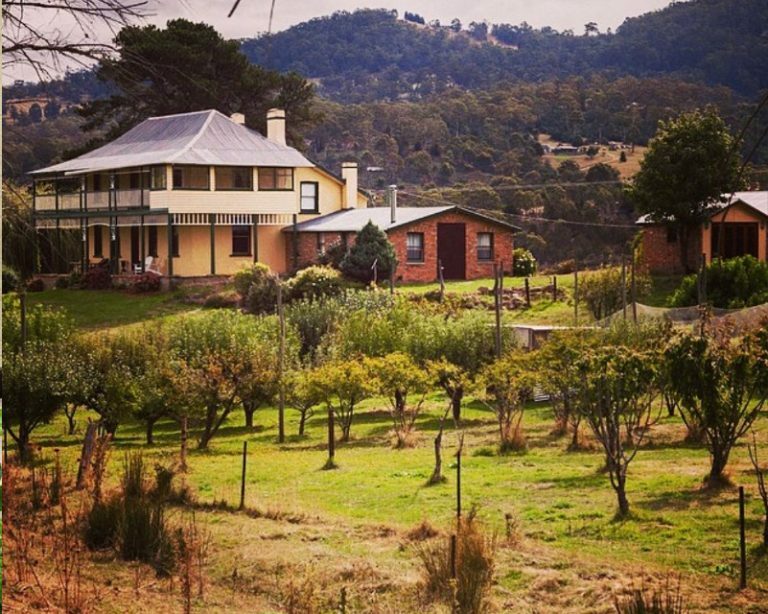 Look back to the homestead in the Back River Valley and the Derwent River Valley on the other side. 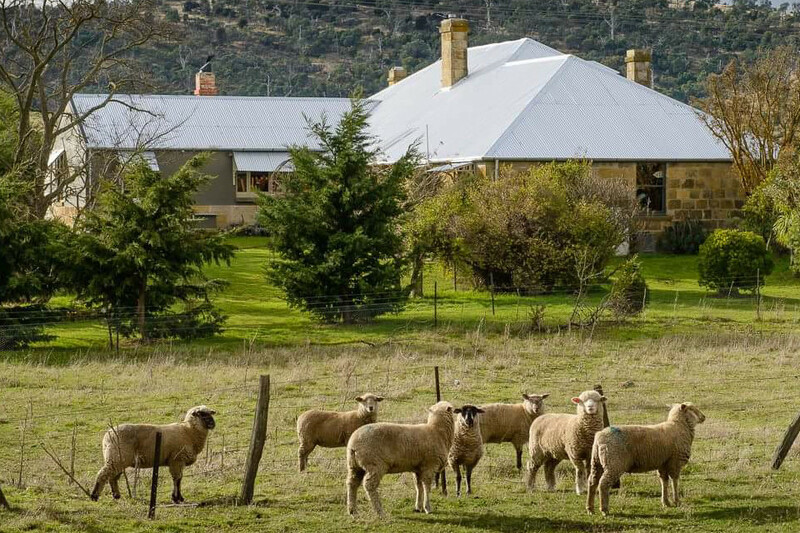 Turn back time and take your pick between B&B style grand bedrooms in the heritage homestead with dinner available, the recently revived shearers’ quarters sleeping up to 11 or the self-contained cottage sleeping up to 6, for a self- catered “rustic chic” stay with breakfast provisions. 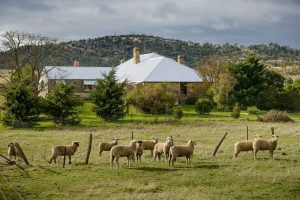 This hidden gem in Hollow Tree, located between the historic towns of Bothwell and Hamilton, is a unique and relaxed opportunity to stay on a sheep property settled in 1828 and never-before open to the public. 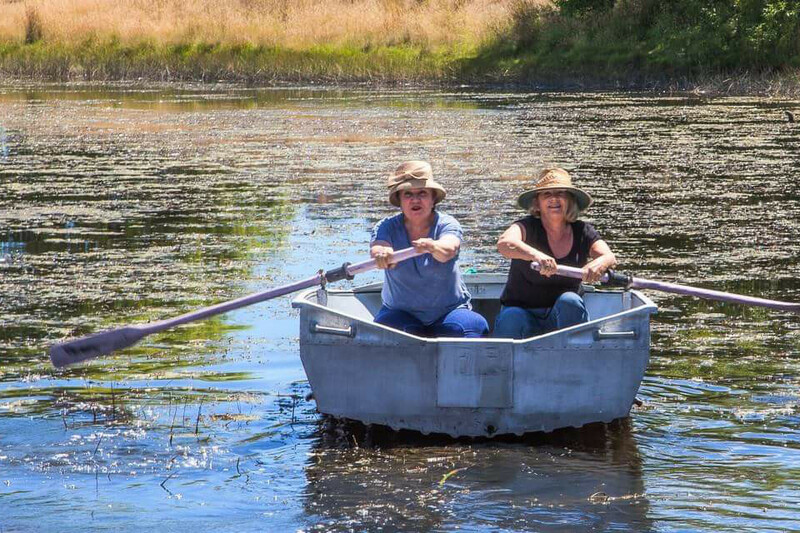 Wander the 37ha farm and feed lambs, calves, ducks and chickens; pick up the oars and take the Platypus Punt exploring on the Dew Rivulet and then toast marshmallows on an open fire as night settles.